In which Christ Lures us to Secret Prayer, and Promises us a Reward for it. And in the microcosm of church, do these rules still apply? Sure. Men who are wealthy, successful, dominant are feted, and elected as elders, never mind when they last opened their Bibles, or settled down for a time of prayer. For women, being fit, pretty, well-presented, and a perfect mom and housekeeper has become a subset of spirituality in a way the medieval mystics would not have recognized. But we also uneasily respect those rare birds in our churches: the prayer warriors, the Bible mavens, the mission freaks. They may not be entirely accepted by the cool Christians to whom Sunday morning services are a respite from a week of getting and spending and managing, but we respect them in the way fifth century Christians respected St. Simon Stylites who spent 37 years on a pillar to escape worldly distractions. But Jesus does not permit us to use our devotion to him as yet another means of gaining status and attention. He advises: Don’t publicly donate or serve on every board to gain a reputation for philanthropy. You might get the respect shallow people accord the rich if you do so, but not the unspecified (but undoubtedly marvellous) reward which your Father will give you. Give generously, but so secretly that your left hand does not know what your right hand is doing. Give for your Father’s reward, which will be wonderful, whether it be the success you crave, the wealth you need, the family closeness you want, or health, or, best of all, peace. Similarly, with prayer. 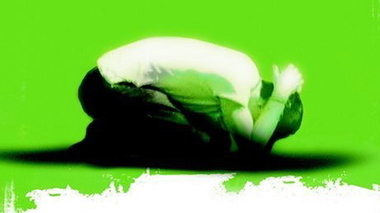 We might hold sway in prayer meetings, with long prayers whose secret, perhaps unconscious, objective includes impressing people with our soft heart, our passion for Christ, our theological understanding–or even to gossip through the tidbits we drop in, or subtly manipulate people by the things we pray for them. And people may be impressed by our long prayers. And that is all the reward we get. Pretty paltry, huh? But what if we waste time with God, and–instead of earning, organizing, working, networking, promoting ourselves–spend time in prayer so secretly that no one knows, and no one will guess? Again, unspecified, but I think it will be really, really cool. It will be the right reward for us, and for our lives. He might crown our efforts with success. Grant us health like Caleb, who claimed he was as strong and vigorous at 85 as at 40 (Joshua 14:11). He might bless our family with love. Deliver us from evil. Make our plans succeed. Guide us. When Roy and I were newly-wed and newly committed to Christ, we joined a Christian “young marrieds” group. I noticed the same in Christian friends I’ve known for decades. A few have taken enormous spiritual strides, becoming people of wisdom and spiritual wealth with which to bless others; others remained apparently stagnant. What makes the difference between a passionate Christian and an average one? I used to think it was whether one actually obeyed the “rhema” word of God–when God highlights certain passages of scripture to your spirit, or clearly speaks to you. And that’s part of it. But the other thing which makes Christians sweet, rather than sour, and a pleasure to be with, like cool spring water on a hot day, is their hidden life of prayer. Prayer running through the day like a quiet, underground river, guarding your heart, keeping you calm, giving you guidance. And this guidance and direction makes all the difference between one life and another, between a blessed life and another. The rewards of prayer include a quieter spirit, a more loving spirit, being saved from sin, God’s blessing, God’s guidance. These we can guess at. But perhaps, once it’s all over, and the last curtain falls, we will see all the difference our secret life of prayer made to our actual life amid the hurly-burly. We will see all the blessings that came as a result of our secret life of prayer which we were unaware of; all the things we were saved from; all the times life-changing guidance welled up within our spirits–and how grateful we will be that we cultivated the habit of prayer that grew to be so sweet and necessary that we would have done it for its own sake. But, in fact, God, who is infinitely generous, had rewarded us for our secret times with him in myriad ways we never guessed at on earth, but now see clearly. The Beatitudes, mostly, are things we do, rather than things we are. There’s hope in that! This is exactly why my hubby and I revolt vehemently when people’s names are anounced when they pledge or that anyone knows our pledges/gifts beyond the obvious need of the bookkeeper who cashes our checks and gives us our tax documents. Many churches still publish a roll of people who have pledged money or given gifts and donations and it really bugs me! Giving and receiving in secret ensures that the ego is removed from the gifts and the acceptance. I do not want a thank you and it embarrasses me when people do thank me for my gifts.